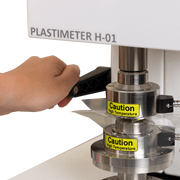 The Plastimeter determines the plasticity of natural rubber. 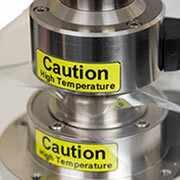 The sample is circle in shape, with a thickness of 3.2-3.6mm and a diameter of 13mm It is placed between the upper and lower testing plates (The Dies) whose temperatures are 100 degrees Celsius. The size of the testing plates are standardised. When testing begins, the lower plate moves up to compress the sample of rubber to the thickness of 1mm and heats it up for 15 seconds. Next, the upper plate presses the sample with a force of 100N for 15 seconds. The remaining thickness of the sample is used to determine Plasticity Retention Index (PRI). 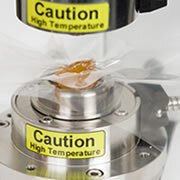 PRI is the ratio of plasticity of the sample after 30 minutes of heating with a temperature of 140 degrees Celsius to the plasticity of the sample prior to heating. 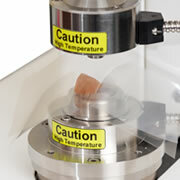 Plastimeter measures the Plastocity or Viscosity of unvulcanised rubbers. The method of test is simple, clean and quick. The instrument is used to determine the (PRI) Plasticity Retention Index of raw, natural rubber. 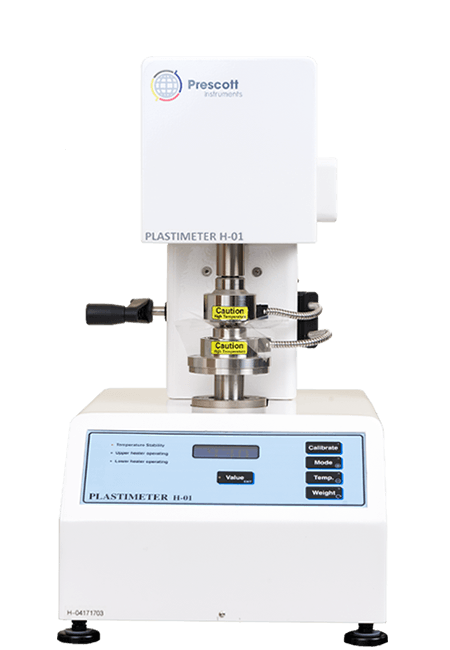 As our commitment to you, our Plastimeter is complete with everything you need to perform static, accurate and efficient elastomeric compound testing. The provided PC comes pre-installed and calibrated with our bespoke data acquisition and analysis software. ThePlastimeter is supplied with the latest computer hardware, pre-installed with our most innovative data acquisition and analysis ‘Universal Instruments’ software for Microsoft Windows ® OS. This version of software grants three methods of data entry and supports bespoke instrument registrations of all manual laboratory equipment and non-Labline configured instruments.